Welcome to the second edition of Stylin’ Out, a series featuring a glimpse into own personal style, a trend I’ve been experimenting with, or other musings around the world of men’s style. You can see the first in this series here. Today’s look combines two instantly recognizable articles of clothing; the double-breasted (DB) suit and turtleneck sweater. For at least a few years now, the ‘turtleneck under suit jacket/blazer’ look has been trendy among sartorial-minded gents. And in my opinion, it’s a splendid pairing. It’s unfortunate that both the DB suit and turtleneck sweater, are rarely worn by today’s modern-day gent. Maybe we can change that. If you’re of a sartorial mind, then this is a trending style that you might want to try. Here’s how to wear a turtleneck sweater under a suit jacket. And as for a more in-depth discussion on the DB suit, we’ll save that for another day. Here we are two weeks into Spring in the City of Brotherly Love (Philadelphia, PA), and it’s finally beginning to feel like it. Time to let out an emphatic, YES! I was starting to wonder if it’d ever come. Fingers crossed that Spring is here to stay. For those who aren’t so lucky and are still feeling a chill in the air, then a turtleneck sweater is a good seasonal transition piece. Feel free to ‘roll’ it out in Spring if the weather allows. A key is to keep the colors light. If you wear it right, you’ll look stylish, baller, whatever you wanna call it—while still keeping warm. Simplistic elegance comes to mind when describing this look. It makes the wearer appear more mature and refined. Most likely because of the formality of the double-breasted suit, which naturally elevates anything that it’s paired with. In this instance, I like the turtleneck as a dress shirt and tie alternative because it leans a bit more casual. A few weeks ago, I got in touch with the marketing team over at Lokal, a boutique hotel that combines the freedom and comfort of living in Philadelphia with the adventure of visiting. What makes them unique is their “invisible service,” a concept that’s new to me. Located in beautiful Old City, they opened their space up (still a work in progress at the time) for photo shoots, for free, in exchange for free publicity which I’ve gotta say is smart business. Curious to see the finished product, I dropped into their launch party this past weekend. It looked great. Jersey Ice Cream Co., the designers of Lokal, did some amazing work. To see more of this beautiful hotel, be sure to check out my friend’s (also my photographer) blog post on Lokal. Quick note: If you’re enjoying this article on how to wear a turtleneck sweater, then you’ll probably find my other writing on all things men’s style useful. Each week, I share updates, style tips and other things not shared on the blog through my free email newsletter. 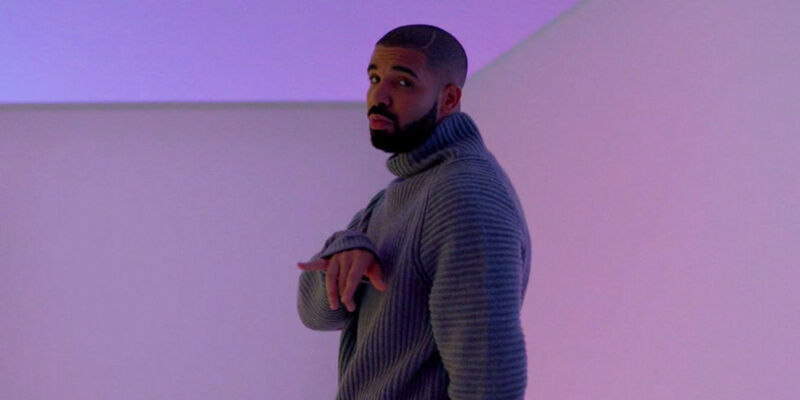 The turtleneck, also known as the ‘roll neck’ is having a bit of a comeback, and it’s not because Drake wore it…or maybe it is, hard to tell. Even still, the turtleneck remains misunderstood. I think a lot of guys shy away because it’s either difficult to wear or more likely, uncomfortable. I get that. But it’s not much different than wearing a necktie, plus I like that it doubles as a scarf. Growing up, a turtleneck sweater was the last thing I wanted for Christmas, but times have changed and since those days. I’ve grown fond of a roll neck and suit jacket or blazer pairing. I like how it can dress down a double-breasted suit, and elevate more casual pieces like dark denim. Pro tip: When assembling an outfit, try to match your metals. In this instance, the belt buckle, watch and lapel pin are all a shiny silver. The details matter. I’d be remiss not to mention some of the the details of this ultra stylish getup. The fleur-de-lis lapel pin pairs well with the white cross navy pocket square. The crosses actually look like mini fleur-de-lis’. And navy goes with practically any color. Also, since the overall look of this getup is elevated, I thought the elegant Brathwait, brown leather strapped watch fit right in. Pro tip: Go for a ribbed sweater with a bit of texture for contrast or visual interest as designers would say. I really like how the texture of the sweater adds depth, especially when paired with the subtle Prince of Wales patterned suit. There you have it, Stylin’ Out Vol. 2 in the books. I hope you enjoyed this piece on how to wear a turtleneck sweater and the ‘turtleneck under suit jacket/blazer’ trend. And as always, thanks for reading. All photos are courtesy of Audrey Lin, Founder of Brunch at Audrey’s. Audrey’s 2 for 2 when it comes to spectacular shoots. She definitely has a knack for art directing a photoshoot, and I wanted to make it clear to her. I’d go so far as to say that it could be her calling, but I’ll leave that for her to decide. What’s your take on how to wear a turtleneck sweater under a suit jacket/blazer trend? Sometimes I forget all about comments! It’s funny how the times change and so much of what we used to cringe at are cemented in our modern wardrobes.